Certain driving and overtaking bans are in place in Austria for lorries from a certain tonnage (§ 42 StVO road traffic regulations). We inform you about the main regulations. As in other European countries, certain restrictions are in place for use of the road network by heavy goods traffic. The lorry driving bans are in place to improve road safety, to improve traffic flow or to avoid the risks posed by lorries on the roads (such as lane changing). In addition to weekend and public holiday driving bans and the general nighttime driving ban, the nine federal provinces have also issued their own specific lorry driving bans. Since 1 June 2014 a driving ban for lorries on the third and fourth lane of motorways and expressways has been in place in Austria. This ban is based on an expert report by the Austrian Road Safety Board from the year 2013. According to the expert report: On motorways, lorries are more often involved in accidents than cars. Lorries make up eleven percent of the journeys on Austrian motorways and expressways. 22 percent of accidents involve personal injury, especially on three and four-lane motorways. Lorries with trailers, if the maximum permissible weight (mpw) of the lorry or the trailer is more than 3.5 t.
Lorries, articulated lorries and self-propelled agricultural machines with an mpw of more than 7.5 t.
Certain food transports, if a consignment note or loading list can be produced, are exempt from this ban. The foods include fresh food such as fruit and vegetables, milk (products), meat (products), fish (products), eggs, mushrooms, baked foods and confectioneries. 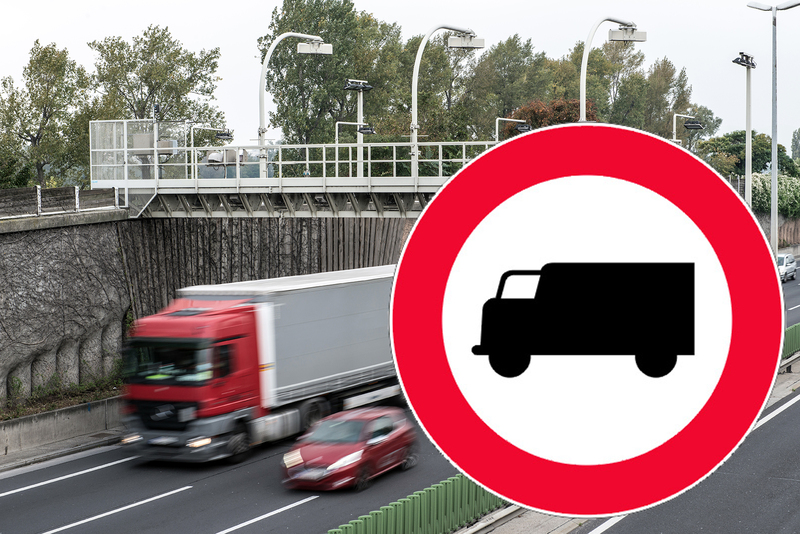 This applies on all Austrian roads for heavy goods vehicles with more than 7.5 t mpw between 10 p.m. and 5 a.m.
An overtaking ban may be imposed to prevent traffic congestion or accidents in bad weather. However, the ASFINAG aims to adjust the time and location of the lorry overtaking bans to improve traffic flow. Seasonal lorry overtaking bans will be issued selectively in areas with sensitive winter road maintenance on steep stretches and in areas with increased risk of accidents.